Organize anything with Zenkit – the project management tool that grows with you. 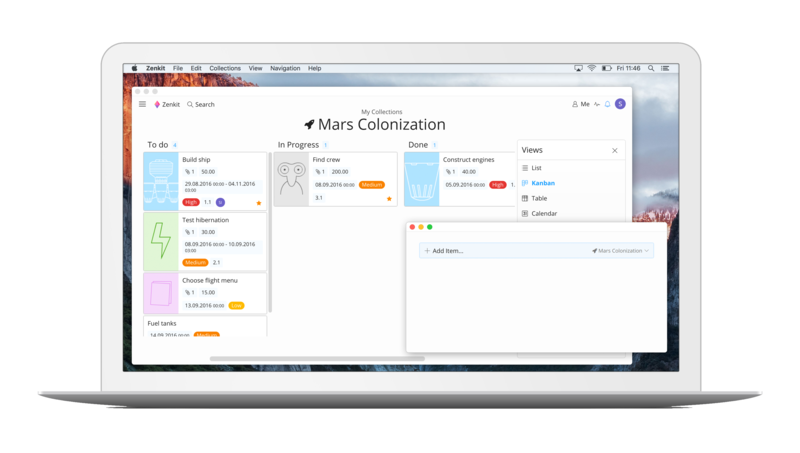 Zenkit is a collaborative project management tools that grows with you and your projects. Follow your data through its entire lifecycle, from fluid brainstorming and research through to a structured system for collaborative use. Zenkit is the flexible workspace you can use to organize anything. Track projects, organize collections, or brainstorm new ideas with Zenkit. Whether you need a simple to-do list, a place to schedule appointments, or an easy way to share tasks, Zenkit helps you do it. It’s beautifully simple, yet powerful enough to manage any business.